Academy award-winning actor Jeff Bridges has won plaudits the world over for his role in the film "Crazy Heart," but now he is turning his attention to a more serious problem - world hunger. Bridges is part of a new documentary that focuses on hunger in America, but more specifically childhood hunger. However, Bridges, who has been lending his voice to the issue since 1983 is also a strong figure in fighting hunger around the world. 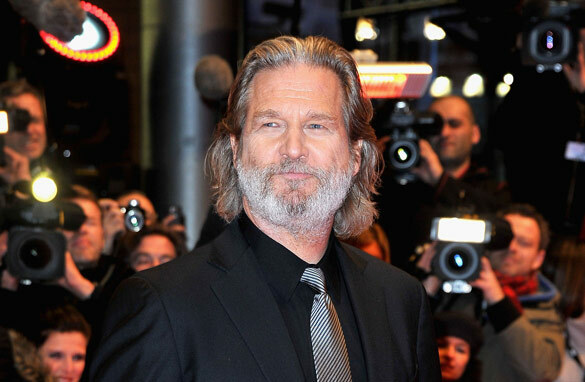 Here's your chance to have your question answered by Jeff Bridges. After all the accolades for True Grit and Crazy Heart, it seems you have had a re-birth of sorts in your acting career. How much is it luck or some other force? Jeff, it has been so much fun following your career over the last few years and your involvement with the No Kid Hungry campaign. Can you talk a little bit about your new role as a first time grandfather to your new grandaughter, Grace? It brings the issue of the needs of a child a little close to home, doesn't it? I am a teacher in San Diego and I see the effects of childhood hunger every day, Thanks for all you are doing to fight this issue that should not exist in a country like America today. –	How can we (breast)feed our world? –	How will you as a leading Tron actor Improve Information and Communication Technologies (ICT) worldwide? I am awaiting Jeff Bridges’ replies. Thanks for all you are doing to promote awareness of the childhood hunger issues in the United States. I was wondering if you could talk a little bit about the difference between the creative process of preparing for a movie role and the process of putting together an album of music. We are all excited about your recent collaboration with T Bone Burnett and the release of your album later this summer. How did it compare with the process of filmmaking? P.S. I was in Montecito for the No Kid Hungry Taste of the Nation fundraiser in early June. You can be proud of your home community for the great support and turnout for this event. My daughter and I had a great time meeting others who are passionate about this cause.